Grabbed these goodies at my local art store today during my lunch break, they seemed like so much fun I couldn’t resist! 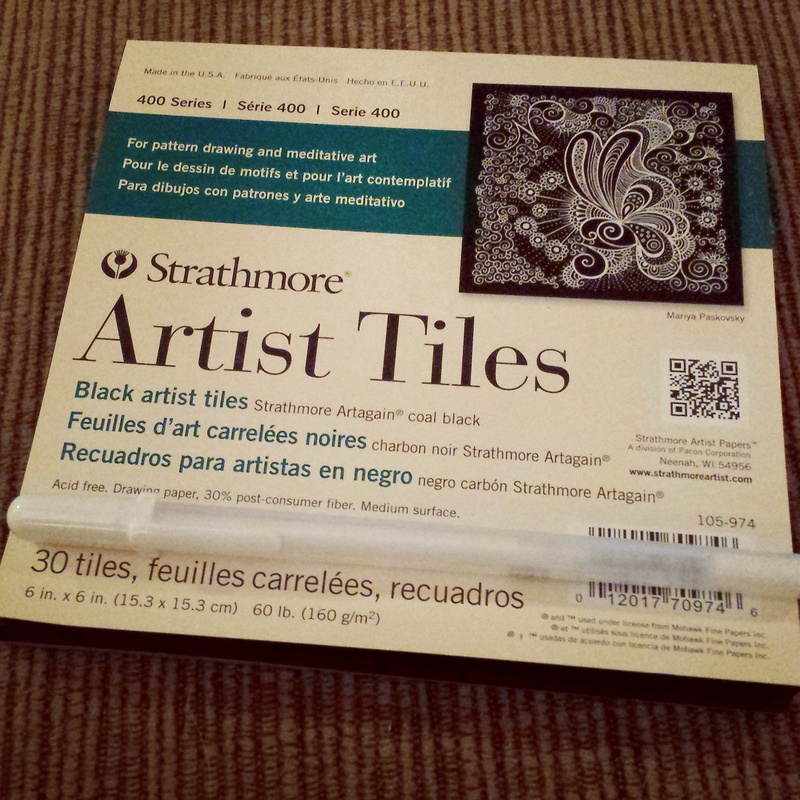 Strathmore Artist Tiles with black paper, and a white Sakura Gelly Roll pen. 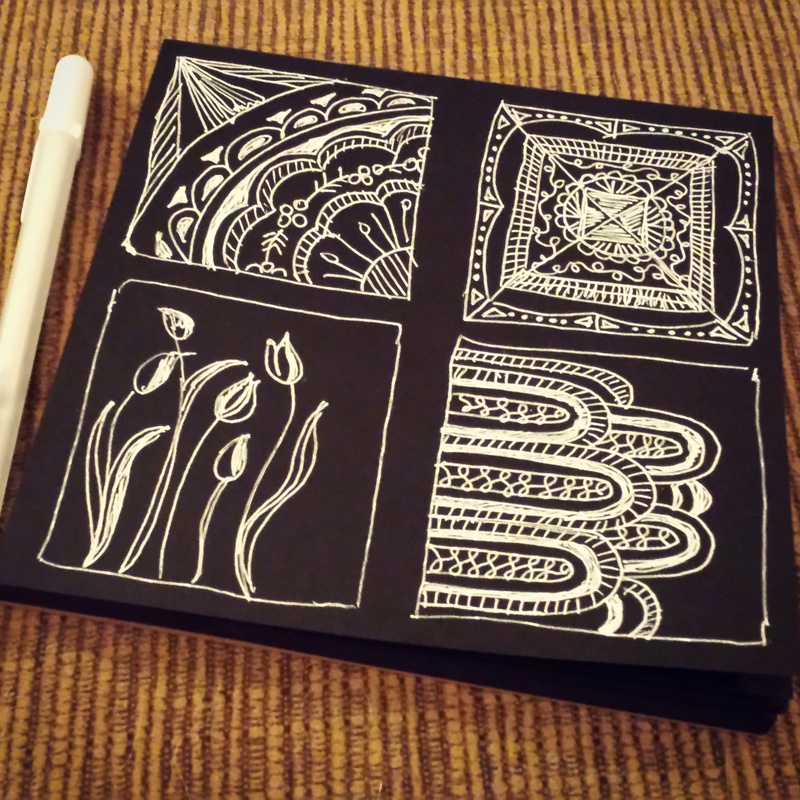 White ink on black paper definitely adds an interesting perspective to doodling! 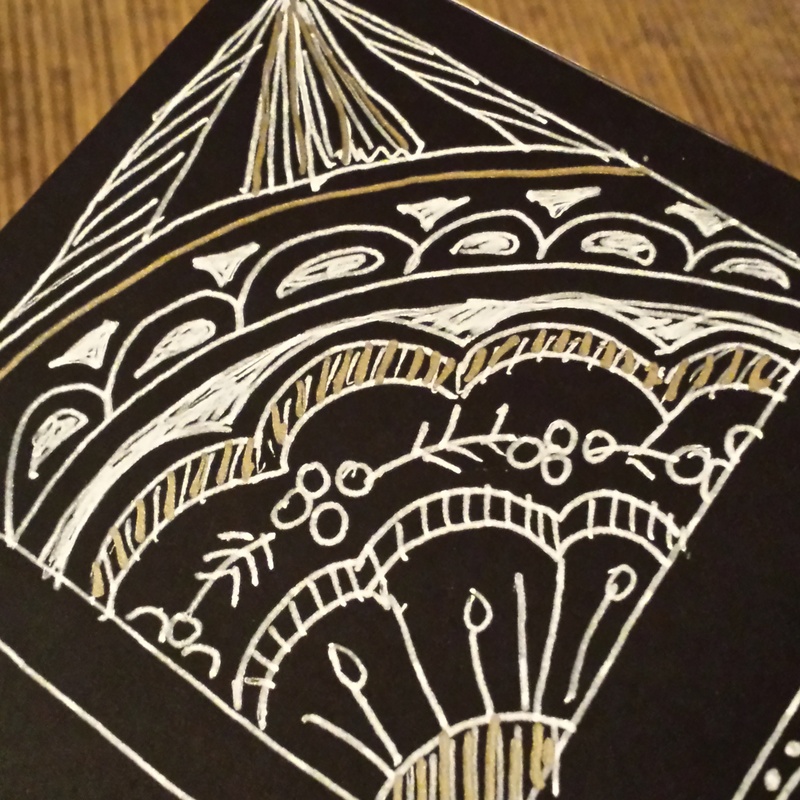 I even added some gold touches with another Gelly Roll pen at the end.